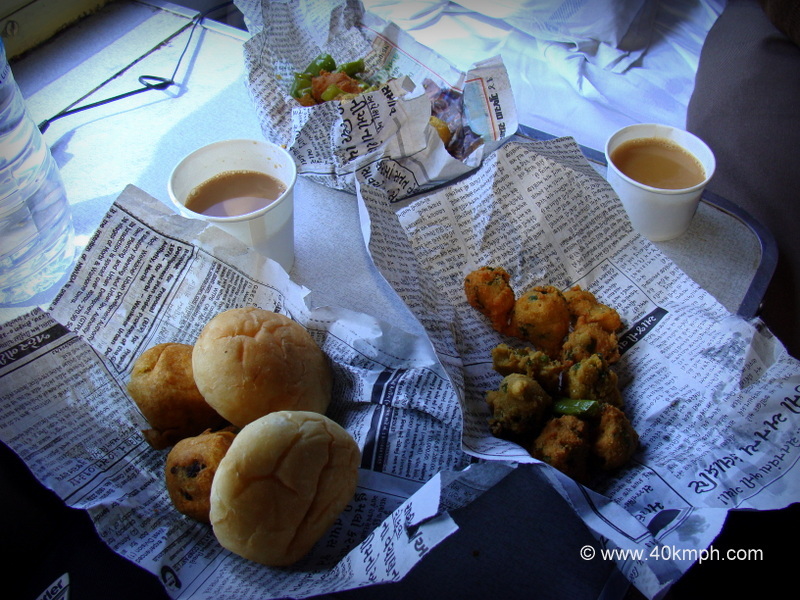 Vada Pav – Rs. 20 Moong Dal Pakors – Rs. 10 And tea – Rs. 5 if I remember correctly.